Midtown is located in the Central Costa Mesa section of Costa Mesa. 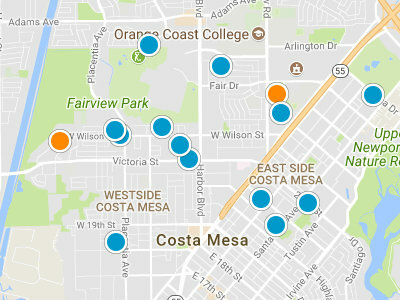 Costa Mesa is made up for five sections, in addition to Central Costa Mesa; there is Eastside Costa Mesa, Mesa Verde, South Coast Metro and Southwest Costa Mesa. Central Costa Mesa is bordered by Baker Street on the north, Wilson Boulevard on the south, the 55 Freeway on the east and Harbor Boulevard on the west. Central Costa Mesa is home to The Orange County Fairgrounds, Costa Mesa City government offices and Orange Coast College. Midtown is a small collection of 10 contemporary cottages. 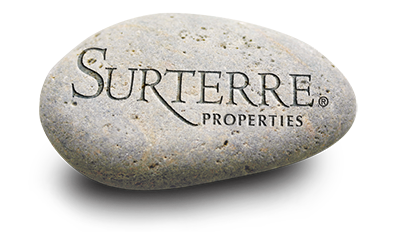 There are three floor plans to choose from; a two bedroom loft home, three bedroom cottage and four bedroom family home. Most homes have three bathrooms. Each home has a two car garage. The square footage ranges from 1,700 square feet to 1,720 square feet for the three bedroom model. Midtown homes range in price from 700,000 dollars to 750,000 dollars. Midtown has made a large effort to be a sustainable and green community. Midtown is one the most walkable neighborhoods in Costa Mesa. Residents are just a short drive to local beaches, South Coast Plaza Mall, and The Camp.